Long run on the greenway. Maybe next time I won't time it so it won't be so competitive lol. 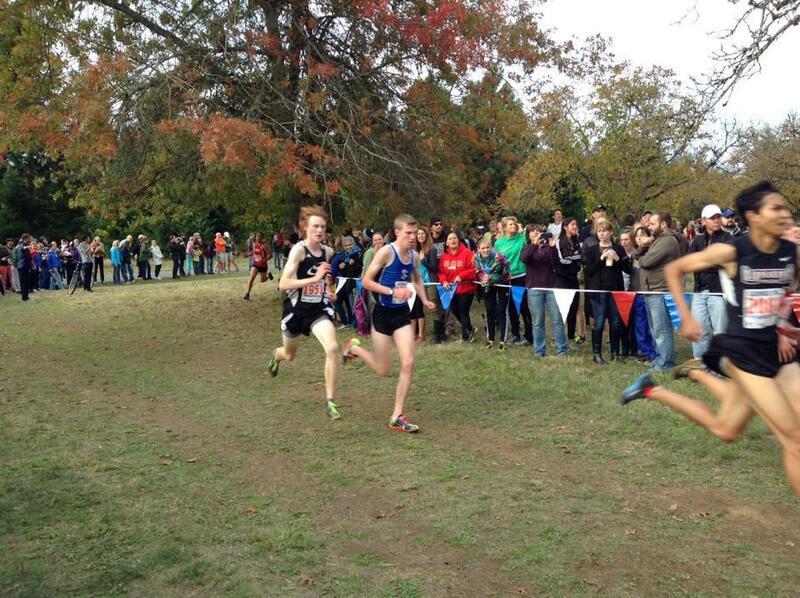 Here were the splits I got: 6:43, 6:25, 6:15, 6:15, 6:05, 5:55, 5:45, 5:35, 5:34, 5:43, 5:42. It band felt really good. Rather, it didn't feel at all which is really good. Sub 6 pace overall and 5:40 pace for the last 5. The good news is my IT band was really chill today. The less good news is I did my 6 mile tempo at only 5:44 pace. This mirrors a lot my 2014 season. Back then I went a while where I didn't get any faster. I'm not too concerned, some more mileage and fast running will put me right where I need to be. Went a little farther than planned because my pace was a little faster. 6:30ish. IT feeling sore but no pain, we'll see about adding in hills maybe by the end of the week. 6 mile fartlek on the BC greenway, 3 up, 3 down. Averaged 6 minute miles overall so the "up" parts were probably a bit over 5 minute pace, by my estimation. It's hard to tell. Felt good though. 8 miles, couple of strides. 13 mile long run. I did about 9 miles fine at 6 minute pace, so it seemed like it would have been a good one, until I felt an excruciating pain in my lower leg that caused me to walk. Later on I ended up being able to jog home. Yikes. Gonna do some research and learn about it. 9 mile run (workout tomorrow) and NO evidence at all of anything from Saturday! Woohoo! What a miracle. Still Felt a little like an old man with being stiff and such. 3 strides. NOTE: After speaking with him on the phone, From today I am implementing a training program designed by Isaac Wood at BYU. I'm not sure how I'll mesh it exactly with my previous training plan, but I don't think it will be that hard, it's a lot of similar stuff and I think definitely worth trying. AM: 11 mile run. 6 mile progression after warmup. Splits: 6:23, 5:54, 5:42, 5:27, 5:23, 5:34. Still should have been more controlled. But I'm excited because at every pace I run it feels easier than it used to. Hopefully that can continue up and up. I hope this training helps me to be able to handle hard workout at paces much faster than this. Felt good though. PM: 4 mile shakeout. First hilly run in a while hurt but was good. 8 miles. After last night's run I was understandably a little tired. I might start taking iron supplements again just to be safe. 11 mile run. It wasn't supposed to be hard or anything but I still felt like I should throw something in to spice it up, so every four minutes or so I did a one minute burst. Felt alright. Yay for RoxyAnn again! 2+ loops was about 14 miles according to my calculations. It was obviously a lot of hills to put my body through and my highest mileage since coming home so I didn't try to push too hard but I ended up right around 6:45 pace. That's pretty good. Felt good. 4 mile tempo run on the greenway with a three mile warmup and cool down. 21:41 or 5:25 pace. I only checked my time at mile 2, so I could be going off of feel rather than pace. Because of that my splits were actually pretty smart, all between 5:23 and 5:27. PM: 5 mile shakeout in Portland. 10 mile run in Portland through the streets and then at Mt. Tabor park. It was good. You always feel a little out of it on vacation just because you're out of your routine. But there's no reason why this week of training can't be very beneficial as long as I make sure to get proper rest and do my supplemental exercises. Nice run on a long smooth Forrest road. After logging it it seems I was kind of going quick (6:25 pace) and ended up running like 10.8 miles. Cool I guess. Fartlek run. I really wanted to run the up sections not all out but at race pace, like 5 minutes/ mile. Went 5 off, 2 on after a three mile warmup. Felt pretty strong. 9 miles in the Forrest, 3 strides. Wow, awesome way to finish vacation. Yesterday I was a bit bummed about the whole way out being downhill and way back uphill. So I decided to run on a different road that initially led up. And up. And up. At times it got fairly steep and I had no idea when it would end. But I sure love running up mountains, so this was perfect for me. Almost got to Lolo pass. About a 2000 foot elevation gain. Beautiful view of Mt. Hood and a little waterfall shower on the way back. On the return trip I realized there were even markers every tenth mile. On the way out I had slightly overestimated my pace so I did about 15.3 miles total at just under 6:45 pace. 10 miles out and back on coal mine road/ firehouse loop. Morning workout at the north medford track. 6 by 1000 with 2 minutes rest. 3:11, 3:10, 3:10, 3:11, 3:08, 3:06. Felt alright. I had hoped to be a little faster. Time to work on stuff like this I guess. 9 miles past Home Depot. Blackberries everywhere, they were super tempting. Next time I'll go early and bring a bucket. 4 strides. Morning: 11 mile run. Fartlek on the greenway. 5 minutes up, 1 minute hard. Just under 6:20 average pace. Yikes. 9 miles, then only two strides because at the end of my run I think I squeezed a blood vessel or something and felt some pain on my lower upper outside central (left) thigh (lol). Today I felt a little beat. The past couple times I have doubled I felt a little tired the next day, which doesn't surprise me a ton seeing as how I am essentially running, going to bed, and then waking up and the first thing I do is...run. But another concern is that I have always prided myself on the hilly training conditions I face every day (long runs, tempo runs, easy runs, etc.) But now that I am doing 8-10 miles a day every morning to avoid doubling 5 times a week (which I believe is the right choice for sure), it is simply pretty hard to not be daunted by or have that "hard day" feeling before or during a nine mile run around where I live. Hills are good but I may need to go somewhere else more often to chill off the intensity by just a hair in the future. Felt pretty tired at the beginning which wasn't great but I got a nice second wind and was able to do my three loops on RoxyAnn. A bit over 6:45 pace in the end. (3, 4.5, 3)- Great workout at NMHS. 4 by 1600 with two minutes rest (except after number two when I ran to the bathroom and got three minutes, but my opinion is that if anything that made me get out of my rhythm and go slower)- 5:03, 5:05, 5:08, 5:04.